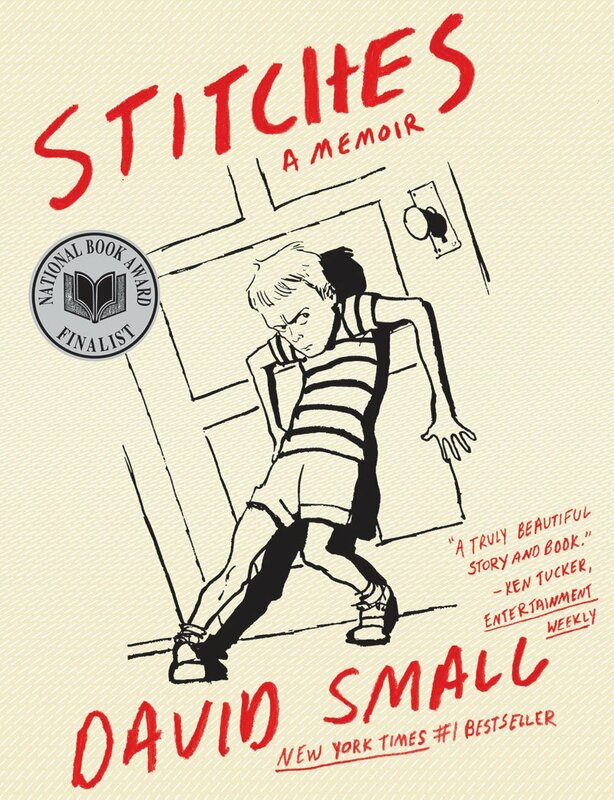 "Finalist for the 2009 National Book Award and finalist for two 2010 Will Eisner Comic Industry Awards: the prize-winning children’s author depicts a childhood from hell in this searing yet redemptive graphic memoir. 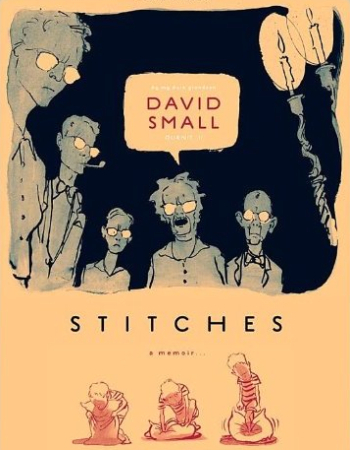 A silent movie masquerading as a book, Stitches renders a broken world suddenly seamless and beautiful again. Finalist for the 2009 National Book Award (Young Adult); finalist for two 2010 Will Eisner Comic Industry Awards (Best Writer/Artist: Nonfiction; Best Reality-Based Work)." "When you have no voice, you don't exist." Without a doubt, the most depressing male-authored graphic memoir I have ever read. The life of sadness and abuse David Small endured is very upsetting. Portrayed through a grayscale graphic nonfiction/novel format, Small recounts a childhood of ongoing neglect and abuse at the hands of his parents and his older brother. At first, Small story is very quiet--the audience can quickly tell he is often on his own, quietly entertaining himself with the help of his imagination until the next violent outburst by his parents. Small's father works as a radiologist and his stay-at-home mother is distant and cruel. Small is subjected to repeated x-rays as a child, a medical technology his father feels holds the cure and answer to every disease and ailment. When a neighbor notices a growth on Small's neck and asks his parents to attend to the issue, Small undergoes a surgery without any words of comfort or guidance from his family. He awakes with a jagged scar and the complete loss of his voice. It is only years later as Small continues to survive abuse that he learns he had cancer. While the illustrations fit the dark tone of Small's memoir, his experiences are very painful to read and see sketched out on the page. The book is marketed for young adults, but due to its content, might be better suited to new adult audiences or at least prefaced with a trigger warning.